The Finnish Architecture. Review 2018 exhibition now in the Gallery at the Alvar Aalto Museum presents a juried selection of recent projects showcasing new trends and the high standards of excellence in Finnish architecture. 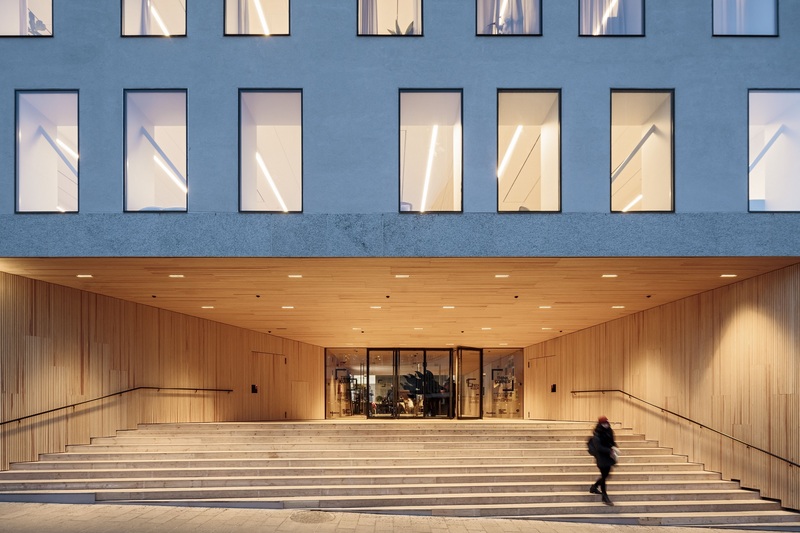 “The review is a gateway to exploring high-level Finnish architectural and renovation projects, opening up new perspectives and stimulating discourse on upcoming trends in architecture” says Tommi Lindh, Managing Director of the Alvar Aalto Foundation. The exhibition was selected by a jury of architecture professionals chaired by the Portuguese architect Gonçalo Byrne, recently a member of the jury for the Mies van der Rohe Award. The other two members of the Biennial Review jury are architect Maire Mattinen and architect and critic Anni Vartola. The Biennial Review has been presenting top achievements in contemporary Finnish architecturein an exhibition and accompanying publication since 2002. The exhibition publication, FINNISH ARCHITECTURE. REVIEW 2018 will be on sale in the Alvar Aalto Museum’s Alvar Aalto Shop throughout the exhibition period. Review 2018 has been designed by Hanna Anonen and Klaus Aalto and is organized by the Museum of Finnish Architecture, the Finnish Association of Architects SAFA and the Alvar Aalto Foundation.